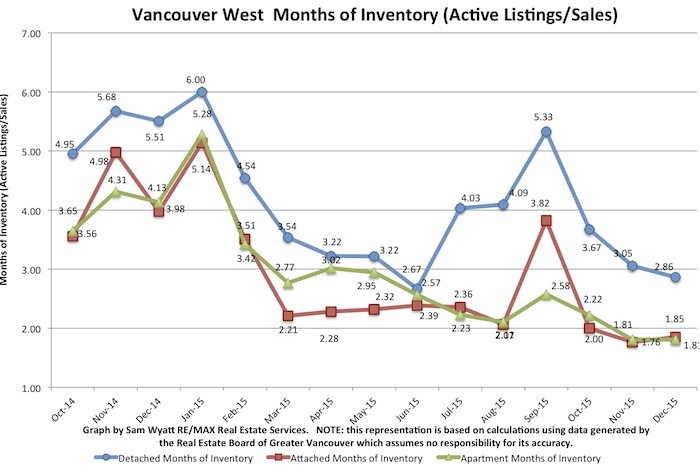 2016 is here and the Months of Inventory (MOI)* is at lows not seen for nearly a decade for Apartments and Attached homes! Detached homes also remain low at only 2.86 MOI, a level not seen since 2011. This is a definitive "Seller's Market". The super low MOI numbers are a result of fewer active listings and a trend since early 2013 towards lower active listings volumes. 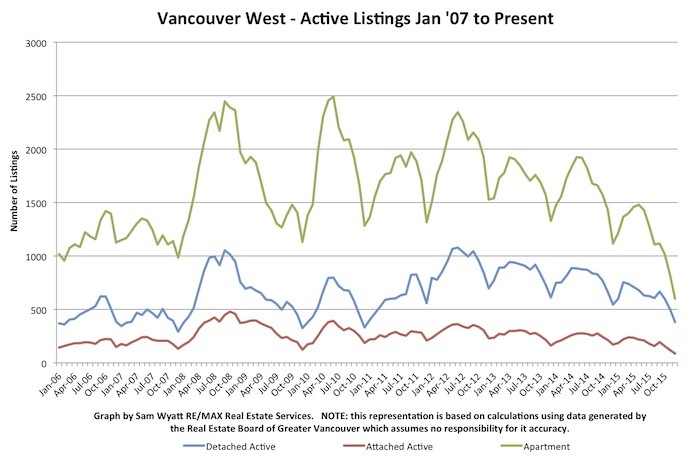 Active listings have not been this low in over a decade for apartments and attached homes and not since 2010 for detached homes. This small inventory means that buyers are often in several failed multiple offers before successfully purchasing a home. High and trending higher sales volumes are also contributing to the MOI index. Not surprisingly, prices are UP and will likely continue their upwards march until there is a significant change in listing activity or the current demand for homes wanes. House prices have been on the rise for years but now apartments and townhomes have also started to see significant price appreciation. It is my opinion that this super hot market is likely to continue into 2016. 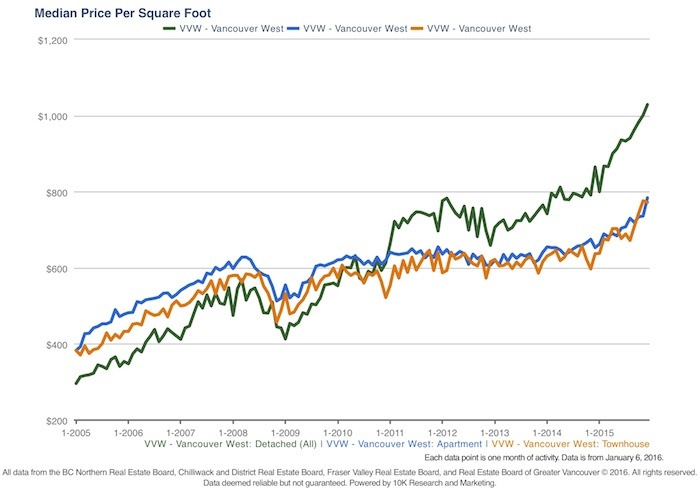 I the past several years Vancouver's real estate market has been the beneficiary of two predominant influences: the influx of foreign capital and ultra-low interest rates. It is likely that both of these conditions will persist. Even as China continues to experience volatility in its economy and stock market, there are millions of Chinese millionaires - all of whom wish to move their money and family to places like Vancouver. The value of the Canadian dollar at only about 70 cents USD is down about another 10% from last year and will make our price increases look negligible to foreign buyers. In spite of talk for years of interest rates rising, the US Federal Reserve may be backpedaling on its planned increases for this year and the Bank of Canada even mused about negative interest rates. It seems to me that the central banks both globally and in Canada are happy to keep rates low for the foreseeable future if there is even a whiff of economic trouble. 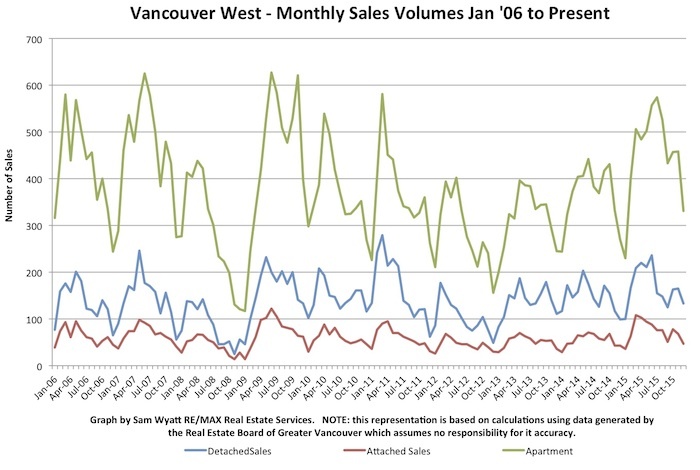 What this means is that we are likely to see Vancouver real estate continue to surge in 2016 even as the Canadian economy flounders. You'll need to sign up to Google and/or Yelp to post. I really appreciate your support. The spread between prices per square foot for houses and apartments remain historic. It is a strong seller's market. Are you considering downsizing or thinking of leaving the Vancouver "rat race"? There have been few markets as hot as this current one. The price spread per square foot between houses and apartments is hundreds of dollars. 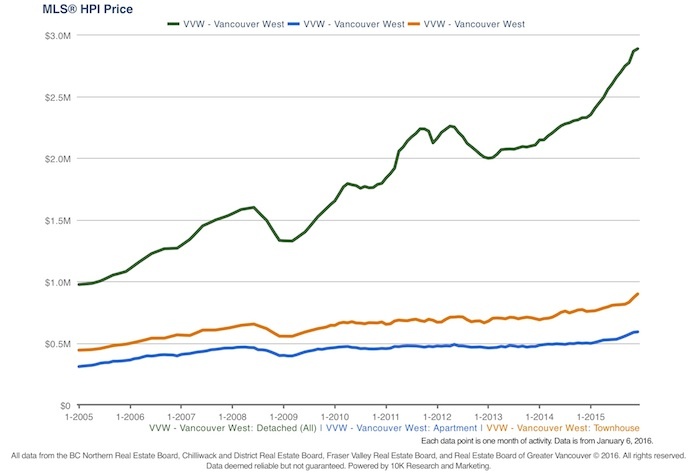 The price spread between Vancouver and most other communities in BC is also wider than ever. With the Spring market coming, it is time to consider selling. 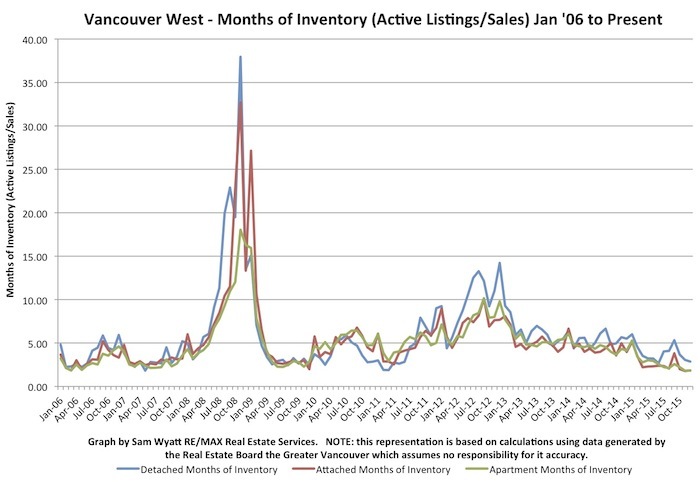 Are you afraid you need to buy in Vancouver now or never be able to? If the thesis of Thomas Piketty's acclaimed "Capital in the 21st Century" is correct (that capital assets will always outpace wages in the long run), then you may be right. There will always be market downturns but waiting to "time" the market can be difficult at best. Buying in 2009 turns out to have been a great idea but I would not have said so then. After the credit crisis it looked like prices might fall even further. In the biggest recession since the great depression Vancouver house prices only dropped about 20% and have since rebounded to nearly double their 2008 high point. If you love it, can afford it and will live in it for 10 years or more - then buy it.